This study assesses the performance of near real-time Global Satellite Mapping of Precipitation (GSMaP_NRT) estimates over northern China, including Beijing and its adjacent regions, during three heavy precipitation events from 21 July 2012 to 2 August 2012. 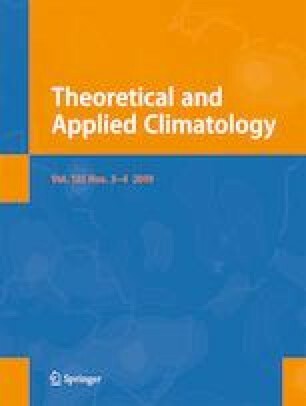 Two additional near real-time satellite-based products, the Climate Prediction Center morphing method (CMORPH) and Precipitation Estimation from Remotely Sensed Information using Artificial Neural Networks-Cloud Classification System (PERSIANN-CCS), were used for parallel comparison with GSMaP_NRT. Gridded gauge observations were used as reference for a performance evaluation with respect to spatiotemporal variability, probability distribution of precipitation rate and volume, and contingency scores. Overall, GSMaP_NRT generally captures the spatiotemporal variability of precipitation and shows promising potential in near real-time mapping applications. GSMaP_NRT misplaced storm centers in all three storms. GSMaP_NRT demonstrated higher skill scores in the first high-impact storm event on 21 July 2015. GSMaP_NRT passive microwave only precipitation can generally capture the pattern of heavy precipitation distributions over flat areas but failed to capture the intensive rain belt over complicated mountainous terrain. The results of this study can be useful to both algorithm developers and the scientific end users, providing a better understanding of strengths and weaknesses to hydrologists using satellite precipitation products. Thanks are also given to Dr. Yong Huang from Anhui Meteorological Bureau, Hefei, China, for his help for processing the gauge data; to Dr. Hao Huang from Nanjing University to help processing the geopotential data; to Dr. Jidong Gao from National Sever Storm Laboratory to help interpret the meteorological situations; and to Dr. Ali Berangi from California Institute of Technology and Dr. Yudong Tian from the University of Maryland for their constructive advice and comments to improve the manuscript in early versions. This work was partially supported by the “100 Top Talents Program”(74110-52601108) at Sun Yat-sen University, Guangzhou, Guangdong, China; HyDROS Lab at the University of Oklahoma; Natural Science Foundation of China (no. 41361022 and no. 416661021); “100 Top Talents Program” of Guangxi Zhuang Autonomous Region, Guangxi Scientific Technology Development Program (2014DD29090); and by the State Key Laboratory of Hydraulics and Mountain River Engineering under Open Fund SKHL1310.